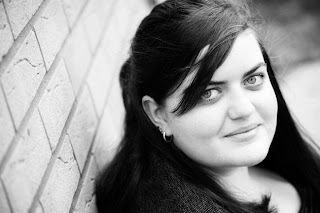 Today I am excited to welcome blogger Rebekah Campbell to The Cover Contessa! So let's hear what she had to say in answer to our questions! I loved the cover, it’s so simple but there’s something about it that draws you in. 5 stars! I’d ask her how she got to know the characters, whether she would write a short story from the love interest’s POV and what her favourite scene was. Mine would be seeing Sam and Zee getting the banter at the pool, they’re so cute! I liked her dad the most, the comments he made about his sister were hilarious! Least favourite was Casper. Ahhhh the guy is a spectacular douchebag! I saw it on NetGalley but it had been my Waiting on Wednesday pick so I couldn’t say no! 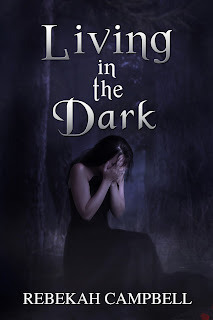 I’ve just released my first book, Living in the Dark, and there are plenty more waiting in the wings. Young Adult Dystopian is pretty amazing just because it’s intriguing to work out how the world got so bad, you know? Such a hard question….Divergent by Veronica Roth, Diamond’s are a Girl’s Best Friend by Jenny Colgan and Hunting Lila by Sarah Alderson. They all happily sit on my favourites shelf and they’re just unbelievable! I’d love to meet Karen Marie Moning, mainly so I could try and get information out of her about the Fever series. That lady has serious writing skills. I re-read books quite often if I really liked them. I’ve read Divergent about six times though, meeting Tris and Four never gets old. Currently reading What’s Left of Me by Kat in ebook format. I’ll probably start Graceling by Kristin Cashore or my flatmate will never forgive me. 50 Shades of Grey, mainly because I don’t like that kind of male character. I’d end up getting angry and wanting to yell at Ana. Sarah J Maas! I heard about her book from my flatmate who followed her on fictionpress and her writing is so hauntingly beautiful that I don’t know what to do with myself! Mockingjay, I so wish the ending was different but I know it “had to happen”. Grumble grumble. Not really, it ruins my idea of what the characters look like. Normally at home in my living room. Insta-love…it automatically makes me facepalm. There’s also something I call the “Glossing Situation”. Picture the scene: Character A is re-united with Character B and they go to see Character C in Destination 1 (chapter ends, next chapter begins) Character A has left Characters B and C in Destination 1. What the heck happened in between the time they arrived and then left? The author glossed over it and nothing is mentioned. Ugh. Five or six but if I’m in the zone I can easily read about fifteen. Nope, I just see what happens! I don’t really want reading to become a chore. Alphabetically by the author’s surname. 1. Barrons from the Fever series. Do I even need to say why? 3. Ed from Graffiti Moon. Adam Black from the Highlander series. I definitely hated him so much I loved him, then his book came out and I just plain loved him! Hot Chocolate please with whipped cream! Firefly and Serenity. That may just be my obsession with Nathan Fillion talking. Thanks so much for stopping by, Rebekah! It was great to have you here. Great interview to you both.